Season the body cavity of the goose, push in a small bunch of sage or spoon in some sage and onion stuffing, and then seal the opening with a fine metal skewer. Tie the legs together with string. Weigh the goose and calculate the cooking time, allowing 14 minutes for 450g. Preheat the oven to 220c/425f/Gas 7. 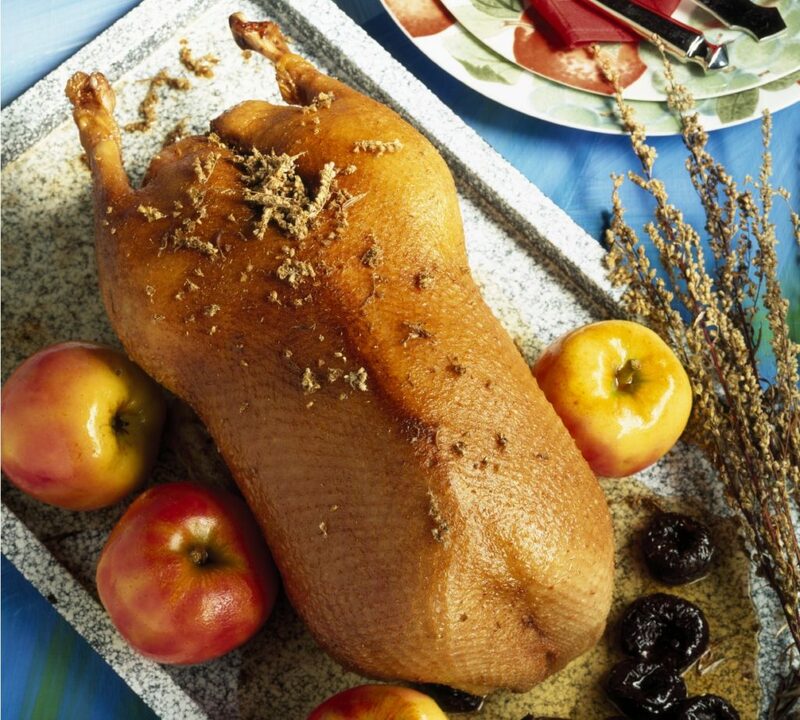 Season the outside of the goose with salt and pepper but DO NOT prick the skin. Place the goose on a rack resting over a large roasting tin and roast for 30 minutes. Remove the goose from the oven and decrease the oven temperature to 180c/350f/Gas 4. Pour all the fat from the roasting tin into a bowl, return it to the oven and continue to cook for the calculated cooking time, pouring away the fat from the tin every 20-30 minutes. This fat can also be saved for cooking. When the goose is cooked, lift it into a board, cover with foil and leave to rest for 15-20 minutes before carving.